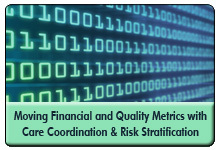 Mark Green, system director of the Care Coordination Center (C3) at Ochsner Health System, will share, during an October 8th webinar, his organization's system-wide approach to health risk stratification and care coordination -- why they took this approach, how they assign a severity index to patients and the financial and quality returns achieved. Click here to register or for more details. Q&A: How Do You Select Nurse Case Managers For End-of-Life Work? 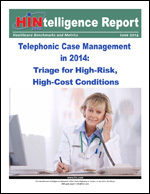 Telephonic Case Management in 2014. Case Management for Advanced Illness: Best Practices in End-of-Life Care examines Aetna's Compassionate Care program, a case management approach for this population. "The title of case manager must be defined clearly and codified into law or regulation so consumers know what they're getting when someone calls themselves a case manager."